The Northern Hemisphere has a standing army – NATO! The UN has a standing army (almost); AU is debating and has a similar structure as the UN. In West Africa, the Economic Community of West African States (ECOWAS) created short-term standing army that helped end the Sierra Leonean and Liberian civil wars – Economic Community Monitoring Group (ECOMOG). We have Engineers without Borders founded in the 1980 around engineers – building roads, bridges, etc. There are over 30 organisations built around issues or professions suggesting a “without borders” title ranging from Doctors, Bikers, Advocates (Lawyers), and Sociologists to Evangelists without Borders! Perhaps it is time to have a standing army of social workers – Social Workers without Borders! ACIPP West Africa seeks “to foster exchange and community engagement between youth world-wide, in order to enhance capacity and capability for dynamic organizations and companies throughout West Africa”. We do this by creating and maintaining internships in Sierra Leone, Liberia and Ghana. We currently have over 12 organisations we work with across the three countries. Ebola has severely affected our work in many ways. For example our coordinator in Ghana had to relocate back to the US because of Ebola and the pressure from family. We have had to pause all our programmes – even those in Ghana where we have not recorded a single case of Ebola due to the fear and stigma this disease carries. Some businesses have scaled back, letting staff go while others have kept their staff but reduced wages to between 25-50%. At ACIPP we have had to make such decisions too and it is not a pleasant one to make. These are conversations you will not hear – the lost jobs, the closed businesses, the struggling company, etc. They are hidden in the many research surveys, World Bank and IMF archives, aid initiative, etc. We at ACIPP West Africa got to the point where we figured that the Ebola crises was more than a health system failure After reaching this realisation, we decided to do something different – we decided to work with people on the ground without necessarily interfering in the discourse and the work they were doing. We only wanted to assist in their work. That led to the development of a consortium of organizations called DERSWA. DERSWA is the acronym for: Disaster and Emergency Relief Services West Africa. DERWA was founded out of a need to bridge funding gaps between local grassroots organisations and the international donor community. Led by ACIPP West Africa, the members of DERSWA seek to work together to bring emphasis to local grassroots organisations in the fight against Ebola; contribute to policy discussions on how grassroots organisations are capacitated to engage during crises, among others. The funding members – called TEAMS FOR RESILIENCE or implementing partners, have at least 10 years of experience in community mobilisation and project implementation. The main objective is to motivate them to lead their communities to solve the current Ebola Epidemic and build the capacity to prevent future health crises. Dr. Paul Farmer, who chairs Harvard University’s Department of Global Health and Social Medicine, argues that to solve the Ebola crisis “four S’s” are key: “Stuff, Staff, Space, and Systems.” He goes on to say: “All over the world there are warehouses of guidelines and policies and protocols, but you’ve got to have stuff, staff, space and systems in the places where you need them most. You can’t work magic out of nothing”. However having all the staff, stuff, space and systems have NOT wiped out Ebola. We forget that if things are not sustainable, they do not work in the long run. Others have suggested that poverty is the leading cause of the virus and its spread. Professor Bobby Banerjee of the Cass Business School in London says: “The fact that poverty is a major cause of this virus means industry and governments are equally accountable. It is an easily solvable problem, yet the state and the market have both failed.” – I think otherwise, I think what has led to this crises is governments in West Africa’ and her research agencies ability to adequately translate knowledge and research into social action and policymaking. The Kenema Government Hospital for instance, has been researching Lassa Fever since the mid-70’s; Lassa Fever has similar characteristics to Ebola Virus Disease yet that institution could not be relied on during Sierra Leone’s Ebola outbreak to adequately address the crisis. Indeed, the Lassa facility has since its inception been funded by the Center for Disease Control through the University of Tulane. There has not been a strategy to get Sierra Leone to be responsible for this facility. Indeed the government of Sierra Leone has no budget line for the $15million per year that the facility needs. Others paid for wages, materials and other resources while 150 kilometres away lay the diamond mines that produced billions of dollars per year for Sierra Leone. Surely, this is not a case of poverty. It is a case of a country crippled by its reliance on donors and development partners to the extent that it has no sense of how to support itself. We have researched one virus and its variants for 40 years and could not do much about it or another similar virus when it broke out; blaming poverty. That is ridiculous! The Lassa fever and Ebola virus are diseases that affect poor people not because they are poor but because their governments and businesses have made them poor. The mines have refused to adequately invest in their people while the government has shielded these business from accountability to those people while it fleeces off Sierra Leone, Liberia and Guinea’s taxes as was presented in the 2014 Tax Justice Network report. By deliberately creating a system of inequality, the government, mining firms and other high earing organisations created a weak system, but we have seen that everyone loses in such instances when trouble strikes. Mines and other business have had to relocate, downsize and shell out huge sums of money to help contain the virus. Those moneys could have gone to long-term project of health, education and general development programming. Speaking directly to Ebola and its containment strategy, providing stuff, staff, space and systems will only help contain the virus but not its next outbreak. In Liberia, some Ebola Treatment Unites (ETU) and Ebola Treatment Centres (ETCs) are shutting down. The thousands of soldiers sent to Liberia and Sierra Leone are on their way back home. Doctors and Nurses are returning home, logistics managers are waiting to leave. What is sustainable? What is the long-term plan? Dr. Farmer’s call, while laudable, are the calls that have made the crisis worse; it led to various impositions and feelings of imposition. In making those calls, we missed out on using local knowledge, grassroots organisations and existing structures to address the problems resulting from Ebola’s outbreak. With Ebola we realise that indeed, our world is a village. Like a village, one persons’ problem is everyone’s problem. We did err to try and shut out the epidemic countries and people coming in from those countries. Globalisation has shown that we are better off fostering sustainability than creating problems. Ebola has exposed our connectedness more than ever as a world. The common thread is sustainability; we failed to make those connections. Ebola created an opportunity to WALK with Sierra Leone, Liberia and Guinea, in solidarity, supporting their efforts and just being there and not hijacking their process of growth as has been the case for over the last 50-years. Sierra Leone and Liberia both have a conflict background while Guinea has had a very chequered past of political instabilities. All three countries have poorly developed their resources to efficiently deal the health and other emergencies such as Ebola. Sierra Leone and Liberia as still dealing with rebuilding their economy and infrastructure – roads are being rebuilt, hospitals, dams and hydro-power plants are all being built at the same time. Many people have died or fled, among them doctors, nurses, teachers and other critical human resources were short. We have seen how that played a role in the difficulty to manage Ebola. The development of the health and other sectors of these countries and much of West Africa are undermined by poor sustainability and succession plans. The core question has remained: “Why did Ebola become such a stronghold in West African nations recently emerging from major conflict? The answer: lack of sustainability. Where there is general governmental and health system instability (low staffing, low funding, minimal facilities, lack of infection control training), turning policy into action: epidemics such as this are able to take hold. It is more than just biology that leads to an epidemic. It is poor and unsustainable health systems that crumble under the pressure of the epidemic. If this side of the issue in these nations are not addressed, it is only a matter of time before another epidemic can take hold. This can also be applied to the area of social workers, as the authors in one journal indicates, the importance of community health systems linking with national health authorities as particularly vital–these sorts of linkages are often made through social workers. For instance, many of the treated and discharged cases were not counselled about Post Ebola Syndrome (PES) such as blurred vision, bodily aches and perhaps more important that treated and discharged males should not have sexual contact for at least a month. A system that is connected and functional would make this connection. The lack of social worker and social services are one of West Africa’s problems. For example Sierra Leone’s first national mental health survey in 2002 showed a 4% rate for depression and substance abuse while 1 in 6 Sierra Leoneans would have some form of mild depression, according to the WHO. The few social workers that have been trained in the region have been taken over by the big NGOs and their role have changed from what they were trained to do. Social Workers are those who contribute to the care, support, promotion of rights, and empowerment of vulnerable populations. Engage at a more macro level, setting policies, standards, and guidelines and carrying out research and evaluation. This includes positions such as directors of children’s affairs, ministers of social welfare, professional association leaders, and university staff. But Social Workers are working in an environment filled with stigma, danger and fear. With 3,000 registered orphans in Liberia, the need for Social Workers cannot be overemphasised. “According to UNICEF, when parents die of Ebola, their children are sometimes found roaming the streets without parental care, proper shelter, health care, or nutrition. This can be a result of stigma and rejection, as the children are seen in their communities as sources of infection. Typical systems of care are interrupted and those who would typically take children in refuse to care for them due to fear of contamination”. Social workers are vital in protecting and providing systems of care for these youth who have lost everything to the virus. It is important to also acknowledge the often time taken for granted issue that African people are PEOPLE and they feel the effects of this epidemic in the disastrous ways any human would. “Panic, shock, loss, grief, shame, suspicion, and anger” are some of the “normal” feelings any human being should feel. We need now, more and more of Social Workers – by needing more, I mean providing the training capacity, resources, research and working with the relevant institutions to develop a system of care that is local to the content and is sustainable. 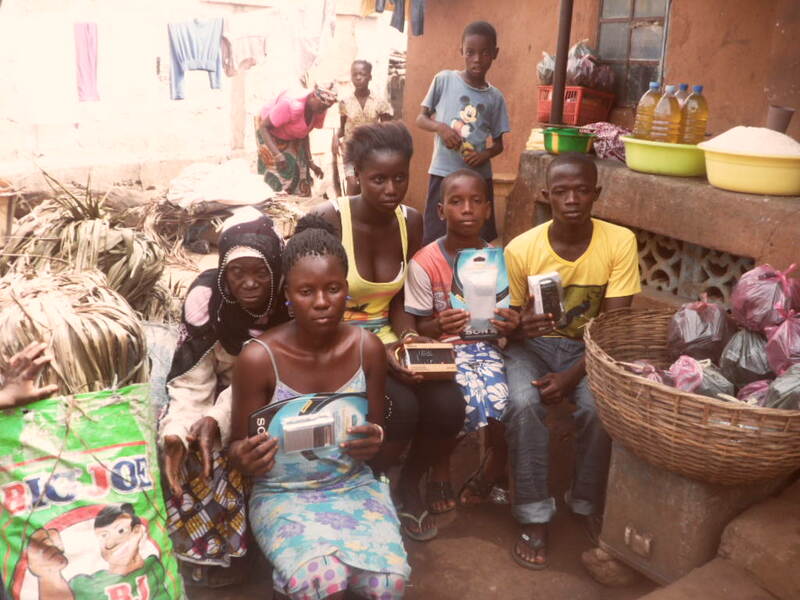 In Sierra Leone, it is reported that there are over 7,000 orphans have been registered so far with many living in hard to reach areas. So not only are qualified people needed, we also need access that can best be provided not necessarily by expensive all-terrain SUV but local grassroots organisations. All the three Ebola countries are pioneering or pioneered radio and television teaching and class presentation. However there remains the problem of access – lack of televisions, radios and electricity. DERSWA tried bridging that gap by securing a pledge of 500 pieces of radios, of which 120 have been delivered and another 200 are due during the month of February. In total, we expect to reach about 2,000 individuals – children and adults. But measuring impact through exam testing remains a problem. 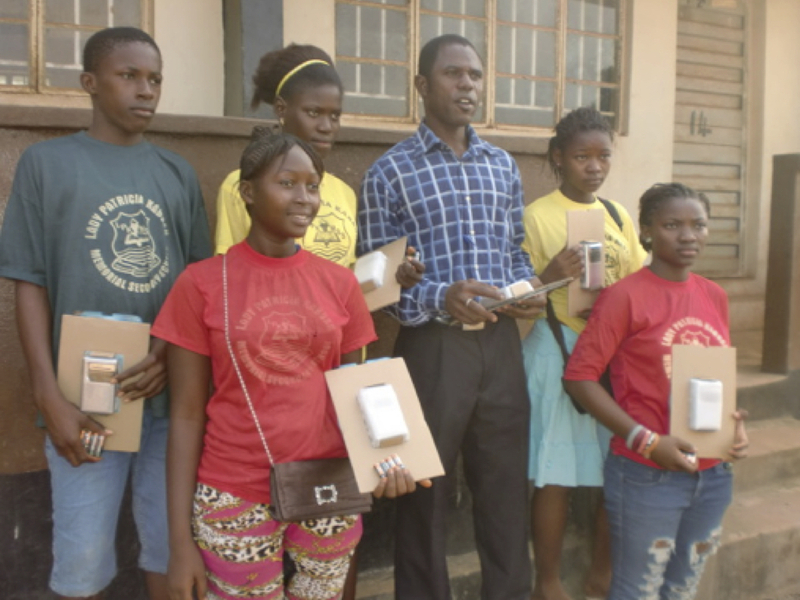 DERSWA is working to secure 500 pieces of tablets with preloaded content that allows the children to catch up with lost lessons and also prepare them for the next West African Examinations for Junior and Senior High schools. What is important to acknowledge is that a lost year of education for the children and youth in these countries is akin to the 10 years lost during the civil wars; the impact CAN/IS just as disruptive if not more than the war. The more these kids and youth stay away from School, the less likely they are or will be willing to return. And the more their life chances and opportunities are limited. Sierra Leone spends only 14% of its annual budget on education of which 50% is spent on Primary Education. With Liberia ranked 159 out of 184 with 60.28 points while Sierra Leone is ranked 145 with 71.26 points both for the year 2011, for graduation and completion rates, we only have huge problems ahead. Sierra Leone, Liberia and Guinea are broken countries that need fixing; that need curing; they are convalescents that require our support. This is the time to raise that army of cares, supporters and fixers! Sierra Leone, Liberia and Guinea have suffered; I have shown how ACIPP West Africa as one small entity has suffered and is suffering. Incomes are in jeopardy; lives are threatened. This does not create sustainability for us; neither would it for the other hundreds if not thousands of organisations. Loss of employment or income, death, extreme illness, near death experiences; are issues that are dealt with differently by different people. Studies have shown that while we humans are resilient and will survive many things, we sometimes need help overcoming those deep mind-affecting experiences. We cannot escape the need of psychosocial support for the victims and survivors of Ebola. The best people to provide that help are the Social Workers. We have seen that, systems gap – translating knowledge to real action was a deficit in the management and containment of the Ebola virus. We need more research and evaluation; we need help with translating policy to action and also to create those policy knowledge in the first place. 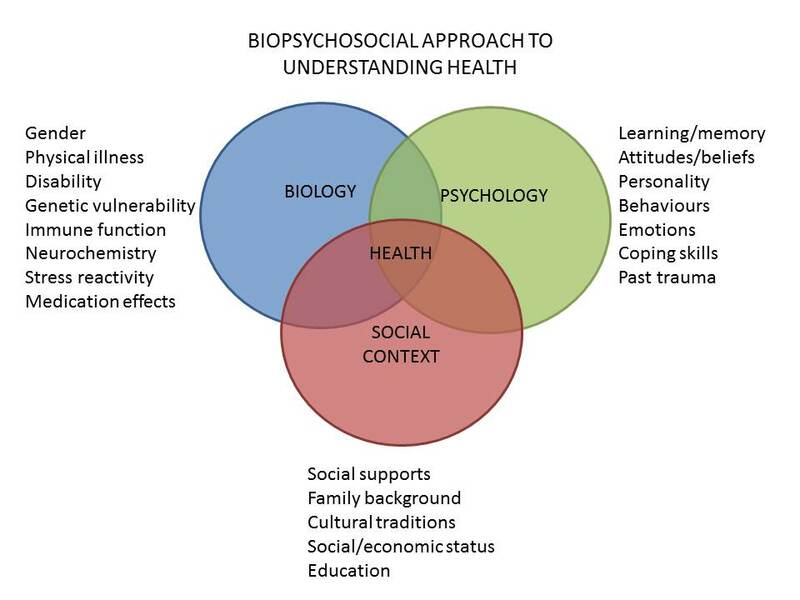 Social Workers without Borders will help close the circle of health as three components of “biology, Psychology and Social Context”, where the biology is donated by gender, medication effects, disability, genetic disability, stress reactivity, etc. The Psychological context is – learning/memory, attitudes and belief, past trauma, coping skills, etc. and finally the social context that is defined by family background, social support, social and economic status, education and culture/traditions. Without the social worker, the cycle is not complete! Ebola makes it even more important to think about the role of a body of social workers in the present situation and in the future. Yes, time to think: “Social Workers without Borders”. Source: United Nations Educational, Scientific, and Cultural Organization (UNESCO) Institute for Statistics.